I might pop in and check it out since I’m subbed anyway. I enjoy TLE servers for the most part. Another stupid idea how to devide already low playerbase. MMORPG is not Diablo, you can’t make seasons/events here and expect them being popular, or even becoming the core gameplay. Instead of trying to make our hands full of another boring grind for a tiny/side upgrade, you’d better add something interesting on life servers, or for a change tried to fix the class balance. Agreed, but good luck with seeing them do anything reasonable or sensible. Given the tie in with live servers, they should have made this new TLE available to F2P. 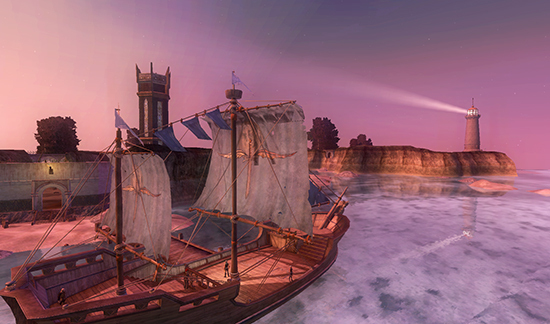 It could have attracted new players to EQ2 that are otherwise put off by the steep learning curve of 1-100 and all the game features added during the last 12 years. Then, when they complete heritage quests they might be inclined to try out a normal server once they have enough play time on the TLE server, and may even subscribe. They dont even have enough players to sustain the LIVE servers with a decent amount of activity outside of leveling/raiding. Nor does Stormhold survive this. During the FG beta I managed to get ONE group going throughout the week, during all times of the day. I dont know what world the people over at DBG works at, but it sure as hell isnt the empty Norrath worlds. Exactly! 😆 I mean what in the hell are they thinking over there? The only thing I can think is they are looking through a prism of greed and looking for every opportunity for a quick cash grab. I guess that is the imperative until the whales all run dry and then its time to turn off the lights. Fortunately I just picked up a Switch w/ Zelda so I’m going to be busy for the summer. Nothing left in EQ two for me except raiding and that is getting old as well, I miss when we actually got raid content in the spring and summer.